Amanda Galick is a flutist and educator in the Houston area. A second-year Young Artist fellow with Da Camera, she has performed in many concert venues including Carnegie Hall, Disney Hall, Shanghai Grand Theatre and Beijing’s National Centre for the Performing Arts, as well as more unconventional settings such as The Menil Collection, the Museum of Fine Arts, Houston, and numerous schools in the Houston Independent School District. A past fellow of the Vermont Mozart, Sarasota, Aspen, Brevard, and Hot Springs Summer Music Festivals, Ms. Galick is an active orchestral and chamber musician. She has performed as guest principal flutist with the Fort Worth Symphony and the Texas Ballet Theater Orchestra and has appeared with the Houston Grand Opera Orchestra, Louisiana Philharmonic, and The New World Symphony. Locally, Ms Galick has performed with Aperio – Music of the Americas, Musiqa, and WindSync, and will perform with the Texas New Music Ensemble and the Florida Grand Opera in spring 2018. A passionate outreach advocate and educator, Ms. Galick was a guest artist at the Wright State University 2015 Double Reed Festival, where she discussed music outreach with the Trade Winds Quintet. 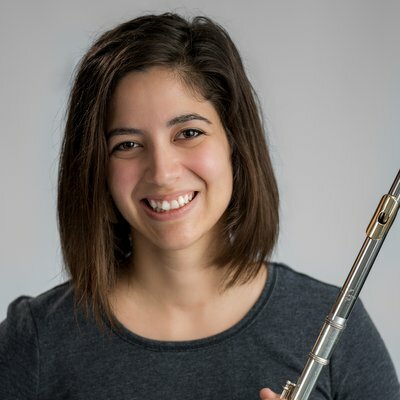 She has been a faculty member of the Belvoir Terrace Summer Fine Arts Camp, The British International School of Houston, and The Vivaldi Music Academy, and currently maintains a large private flute studio. In 2016, Ms. Galick completed a certificate with the Youth Orchestra of the Americas, which sent her on teaching missions to Guanajuato, Mexico and St. Croix, of the US Virgin Islands. Originally from Pennsylvania, Ms. Galick completed her master’s degree at Rice University’s Shepherd School of Music. She holds a bachelor’s degree in both music education and performance from the University of Michigan. Her principal teachers include Leone Buyse and Amy Porter.